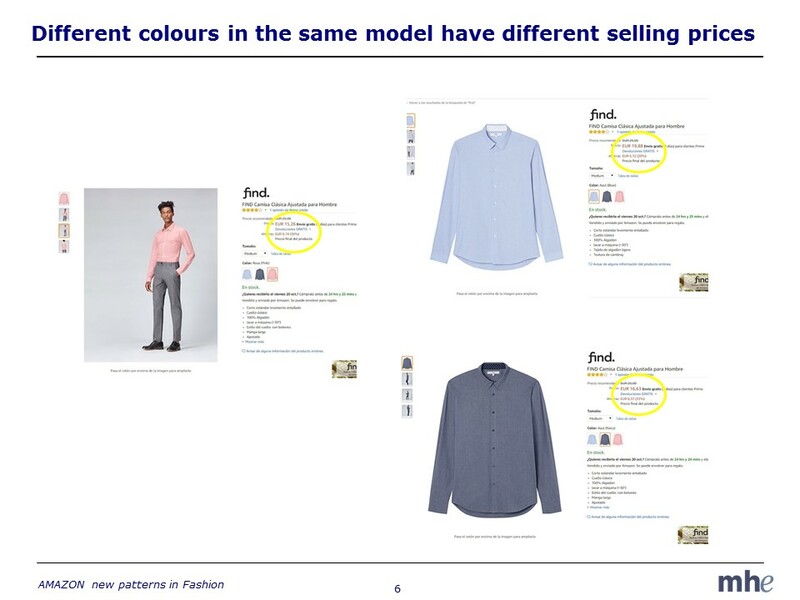 Amazon introduces new patterns in the Fashion sector. Customer will decide. 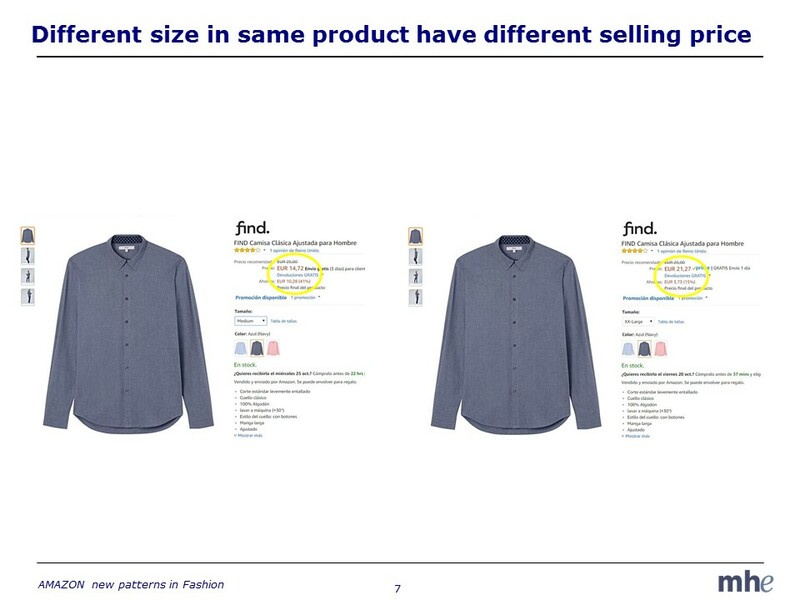 The strong bet of Amazon in the Fashion sector is not only based on the powerful introduction of its new own brand “FIND” for men and women, it is also adding new patterns that are new for the sector. Some of them will be appreciated by the consumer, others will not. Sometimes they might be replicated in the physical stores and, in other cases, they will have to remain in the online arena. It is by far, the area where Amazon incorporates the largest number of novelties for Fashion. For a similar clothing product, Amazon changes prices an average of 9 times during the season, while a department store (eg Macys) just changes 2,1 times per season, and clothing specialists, such as Kohl’s, just 1,6 times per season. Sales period will not be the same ever. Relevant price endings and price points for costumers in brick and mortar won’t have the same importance in an online environment. Amazon doesn’t innovate just in time factor. 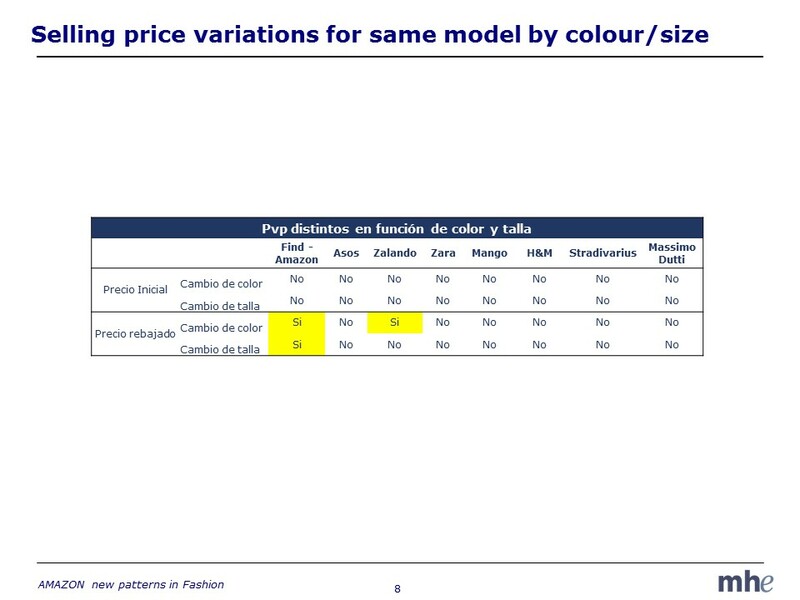 The difference with fashion specialists is that Amazon starts with just one unique sales price for all colors and sizes in the same product and applies its predictive analysis based on sales, stock and availability at size and color level. Thus, it is usual practice in Amazon that, for the same garment they provide different prices based on color and size and always based on customer sales criteria and not original cost prices and mark-up. It will be difficult to implement these criteria in stores. But, who knows… 3 years ago nobody could imagine “free delivery” at home just the day after the purchase. The massive use of user generated content, providing ratings and comments by other costumers, has demonstrated huge effectiveness in other retail sectors where Amazon has a higher weight, like electronics. Fashion is introducing this new pattern that provides confidence in Brands based on other costumers opinions. 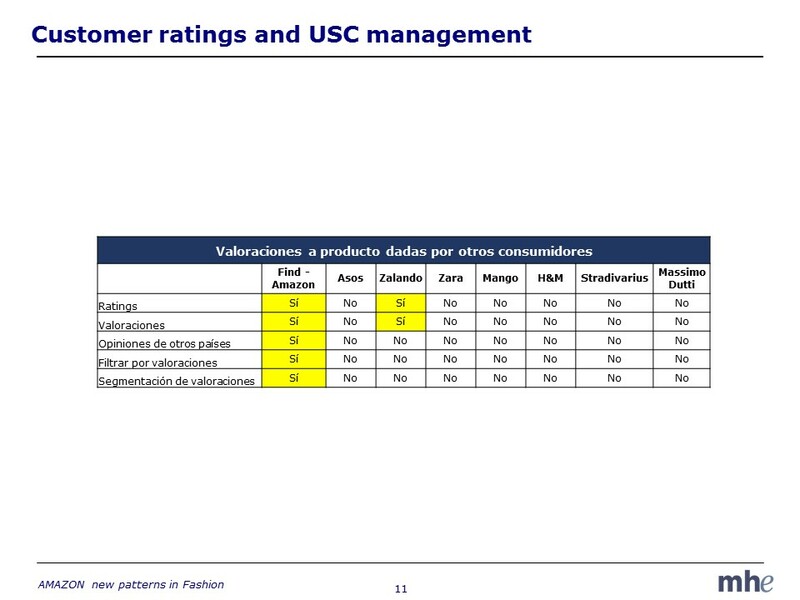 The use of costumer ratings is done through filters and relevant segments for each type of product. In addition, Amazon incorporates costumer opinions from other countries where the same product is sold. Amazon manages in a superlative way the popularity of the products by UGC. This initiative provides the facility of take pictures of products tested at home by customers. Through a specialised application you can receive recommendations about other products or offers regarding different brands that combine better with costumer preferences. 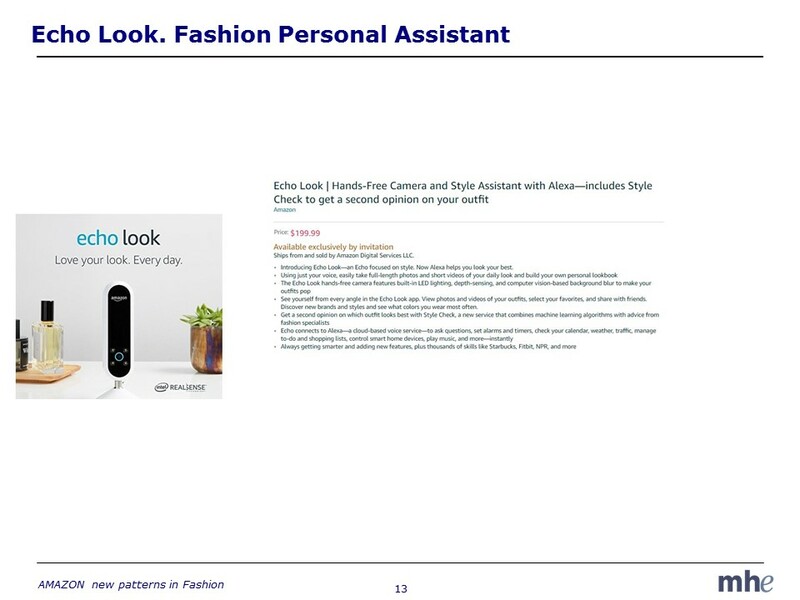 It is like a “personal” assistant to facilitate the clothing purchases. 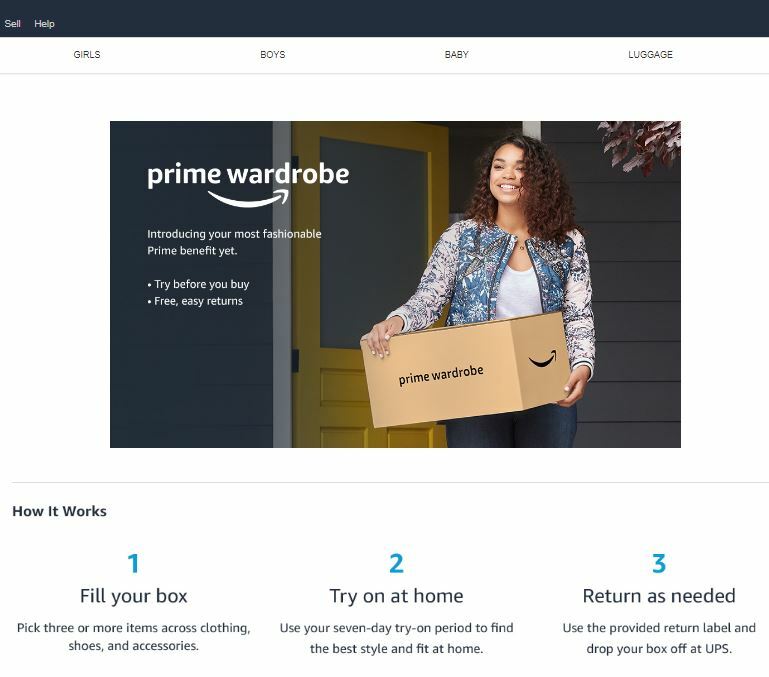 In this case, Amazon provides to their “Prime” clients the possibility to monthly receive a box with 3 to 10 fashion products selected by customers to be tried at home. The costumer try on it at home and can return the garments they are not interested in. Based on the number of items that the customer acquires, they receive a 10 to 30 € discount. This service is similar to the “subscription” model in other sectors. It is an advanced version for home of smart fitting rooms, which its use is now increasing throughout retail chains. 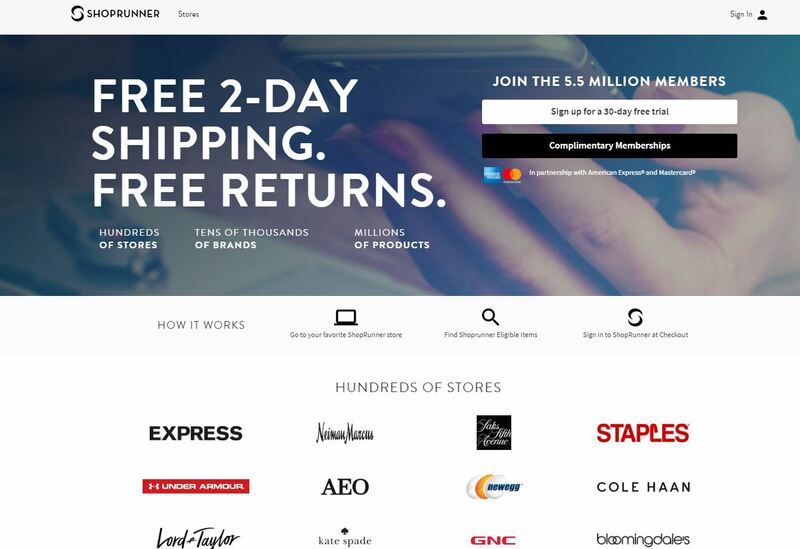 The success of the “Prime Amazon” service (even with an additional charge) it has been an inspiration for the development of other shopping consumer networks services, such as SHOPRUNNER, which allows retail chains provide similar experiences to Amazon but without investing in disproportionate structures for their activity. But not all Amazon initiatives become successful. The Amazon branded “Style Code Live” TV channel for interactive purchases has been cancelled after one year try out period without good results. 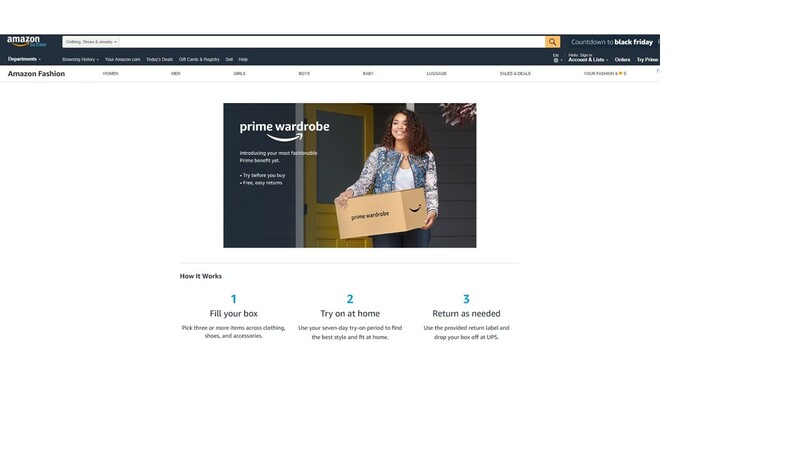 With Amazon new fashion patterns, clients are having the chance to try new experiences in their purchases, some of them will be demanded to other competitors in physical store environments as they will get used to. MHE, retail consultancy, works for brands and retail chains in strategy and operations in omnichannel environment.